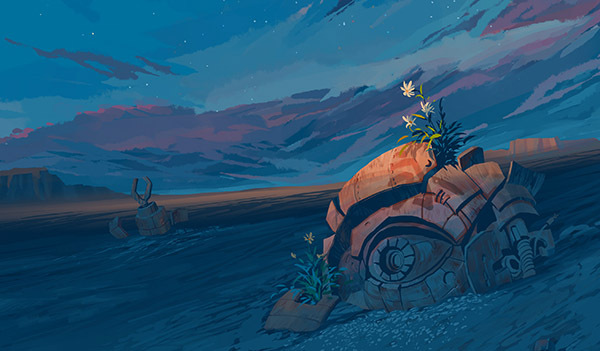 For months now, we’ve been talking about how we could expand on the translation work at Clarkesworld and open the door just a little bit wider. One of the things we came up with was a short fiction oriented small press that is focused on translations… and so Clarkesworld Books (yes, re-purposing the old bookstore’s name) was born. Tonight we launched a Kickstarter campaign for our debut project, A Hundred Ghosts Parade Tonight, the first English-language collection by Chinese author Xia Jia. I’ve published several of her stories at Clarkesworld and this collection will make several more available to English language readers. Personally, I can’t wait to read them. If you are unfamiliar with her work, the campaign includes links to several free stories. I do hope you’ll consider supporting this project. 11:00 AM C How to Make a Small Fortune in Specialty Publishing. Neil Clarke, Sandra Kasturi, Bart Leib, E.J. Stevens, Michael Damian Thomas. Publishing is a challenging business that’s become even more challenging as retail space has declined and Amazon’s recommendation algorithms have taken over. It’s doubly difficult for small presses, which aren’t blessed with massive capital to hedge against returns. What is it really like to run a small press and what does it take to survive your early years? How do you get authors and reach important markets such as libraries, especially if you primarily publish in digital? Our experienced panelists will discuss these topics and more. 1:00 PM 6 A Golden Age of Asian Speculative Literature in English. John Chu, Neil Clarke, Liz Gorinsky, Caroline M. Yoachim. There’s a growing body of English-language speculative works by writers from Asian and South Asian cultures—works in translation from writers working in Asian languages, and works written in English by writers in both Asian countries and the Asian diaspora. This panel will discuss trends in translation and publication, examine different Western expectations of translated and non-translated fiction (for example, the notion that Asian diaspora writers will necessarily write on Asian themes or diasporic experiences), highlight recent works of interest, and explore how Asian and Western speculative fiction influence one another. I’ll also have a table in the dealer’s room, where I’ll be selling Clarkesworld, my anthologies, and very-low-priced books from my old bookstore’s inventory. Stop by and say hi! 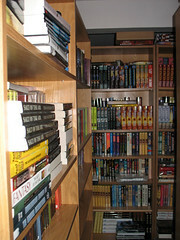 Once upon a time, I owned a bookstore: Clarkesworld Books. 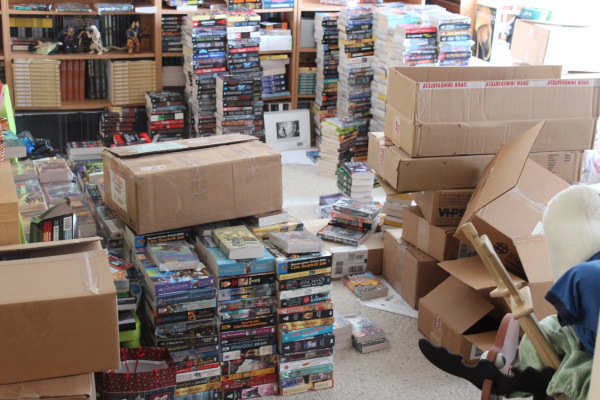 When it closed eight years ago, I ended up with a basement full of books which I’ve been slowly selling off via Amazon, at conventions, and other places. If you’ve seen my table at Capclave or Readercon, you know I’ve become extremely motivated to find these books a new home, often discounting things down to a $1. A few months ago, at Philcon, I brought nine boxes of books that failed to sell and dumped them on the freebie table. I’ve already packed eight more to bring to Boskone. Despite these efforts, a significant volume of books remain. After Boskone, I’ll check with some used bookstores in the area and see if they are interested in the paperbacks I decided not to use in the recent cull. I’ll probably put the rest on EBay in lots of 20-30 and see what happens. At worst, Lunacon comes around in April and I can always give away a few more boxes there. If anyone knows any other places that might be interested in buying paperbacks/trade paperbacks/hardcovers in bulk–cheap–let me know. I’m in Northern NJ and wouldn’t be opposed to driving a couple of hours if it reduces the pile significantly. I also have road trips to the DC and Boston areas scheduled this year. NOTE: This sale will end at 10PM EST 3/10/2014. More details about why and how to get on a waiting list (if you missed it) can be found here. If the BUY button is gone from this page, the sale is closed. As many of you know, I ran a bookstore for seven years. When it closed, I was left with a lot of inventory, which I occasionally lug to conventions and try to sell off. At the rate I’m currently going, it could be over a decade before that chore is done and since the heart attack, I’m a lot more reluctant to lug a carload of boxes anywhere. I’ve decided to tackle the problem in stages, starting with the paperbacks. There are thousands of new/unread mass market paperbacks on these shelves and I’m starting with them. I’m going to start boxing up lots of thirty new books (no-dups) by genre and selling them off for $30 shipped free via media mail (meaning US only). I’ll start by offering them direct and when that slows, move onto ebay. All proceeds from the sale of these books will be placed into my special Clarkesworld Magazine issue #100 fund. It’s a big milestone and I feel the need to do something special with that issue. So, anyone interested in buying some books? NOTE: Some people are reporting that PayPal is sending them back to Wyrm Publishing at the end. Must be something odd in my PayPal account. (I am Wyrm Publishing.) You can ignore that. The order is complete by the time you get there. I’m also emailing confirmations, so if you don’t hear from me, that’s when you should be concerned.